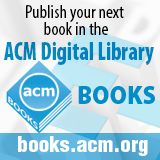 Welcome to the March 28, 2014 edition of ACM TechNews, providing timely information for IT professionals three times a week. Facebook CEO Mark Zuckerberg on Thursday announced the creation of the Facebook Connectivity Lab, which intends to make it possible to broadcast Internet access to Earth from solar-powered drones and other "connectivity aircraft." "We want to think about new ways of connectivity that dramatically reduce the cost," notes lab engineering director Yael Maguire. The effort's first phase is Facebook's acquisition of Ascenta, a U.K. firm that helped develop an unmanned solar-powered drone. The new lab is part of Zuckerberg's Internet.org project to make the Web accessible to 66 percent of the global population that currently lack such access. Maguire says the facility will initially concentrate on delivering Web access to the 10 percent of the populace that are in regions that traditional Internet pathways cannot reach. Facebook envisions drones that could stay airborne for months or even years at a time at an altitude of more than 12 miles, without being disrupted by other aircraft and weather. Maguire says the planes would beam data to each other via lasers before sending it back to earth to boost network efficiency. The Industrial Internet Consortium (IIC) was launched on Thursday by five information technology (IT) and equipment firms in an effort to guide standards for the Internet of Things (IoT). The consortium, which includes AT&T, Cisco Systems, General Electric, IBM, and Intel, plans to define best practices and requirements for standards and to develop reference architectures and case studies. The group's goal is to work with existing standards bodies to enable seamless communication between devices such as sensors, valves, and motors, and IT systems. "We're talking about a very heterogeneous world across multiple industry segments," says IBM's Ron Ambrosio. The consortium believes the IoT will make many industries much more efficient and enable companies to access a vast amount of data. However, universal standards are needed so products developed by companies in different industries can work together. "Up until this point, many of the deployments in the Internet of Things have happened in a very siloed manner, and this has somewhat, as an industry, held us back," says Intel's Ton Steenman. The group wants to add more members and is open to anyone, notes Richard Soley, executive director of the IIC and CEO of the Object Management Group. The U.S. federal government believes the shift to self-driving automobiles will make the roads safer and provide people with opportunity to engage in other activities while in transit. In February, the U.S. National Highway Transportation Safety Administration made an initial step toward mandating that new autos come with computers that can communicate with other vehicles in order to prevent accidents and ultimately guide cars through traffic. Those systems are being field-tested in Michigan, where University of Michigan researchers supported by a federal highway safety grant have equipped 3,000 cars with sensors and wireless devices that let them share information with one another and with nodes mounted on traffic lights, at intersections, and along curves on more than 70 miles of city streets. Still, questions linger about whether motorists or automakers are responsible if autonomous vehicles have an accident, while ownership of the data that such cars generate is another unresolved issue. Meanwhile, the possibility of manufacturing defects would become even more worrisome in cars that depend on increasingly complicated computer systems. However, advocates such as Eno Center for Transportation CEO Joshua L. Schank say autonomous vehicle systems will improve driving safety by cutting down on human error. In 2006, former ACM president Maria Klawe was appointed Harvey Mudd College president and immediately helped changed the computer science department to try to encourage more female students to enroll in computer science classes. First, the course previously called "Introduction to programming in Java," was renamed "Creative approaches to problem solving in science and engineering using Python." The professors also divided the class into groups to separate those with no coding experience from those with some coding experience. As a result, Harvey Mudd's introductory computer science course almost immediately went from being the most despised required course to the favorite, according to Klawe. Professors also took students to the annual Grace Hopper Conference, which bills itself as a celebration of women in technology. The conference is a place for students to visualize women in technology, Klawe says. Finally, the college offered a summer of research between freshman and sophomore years so female students could apply their new skills and make something. The three-step strategy resulted in the number of female computer science majors quadrupling, from 10 percent to 40 percent over a four-year period. Apple says it wants to boost the ethnic diversity of the emoji used in text-messaging apps, which currently include dozens of faces that appear to be Caucasian while having no black symbols and only two Asian-like symbols. A basic emoji list has been devised and maintained by the nonprofit Unicode Consortium since 2010, to ensure that different devices and mobile carriers can share a basic series. "Our emoji characters are based on the Unicode standard, which is necessary for them to be displayed properly across many platforms," says Apple's Katie Cotton. "There needs to be more diversity in the emoji character set, and we have been working closely with the Unicode Consortium in an effort to update the standard." The study of emoji usage is a key element of Oxford University research fellow Bernie Hogan's work into how people represent themselves online. "If they restrict the sort of people who are used in the images it restricts users' expressive power--people won't feel that the emoji speak for them," he cautions. Although Hogan says adding all possible icons in a usable format is an unattainable goal for any one organization or consortium, he notes "in terms of racial diversity, it's very fair to think the range should be extended." Students worldwide are increasingly familiarizing themselves with coding fundamentals, and proponents say such knowledge feeds into individual students' future career prospects as well as into their countries' economic competitiveness and the technology sector's ability to find qualified employees. Not only does early coding education demystify an intimidating subject, it also contradicts stereotypes of computer scientists as dull, and it demonstrates creativity by showing students it can help them cultivate problem-solving skills and enable them to participate in a world transformed by technology. Code.org's Roxanne Emadi observes children now routinely use advanced technology, but few are learning how to create it. "Even if it's something simple, like a kid programming a maze or programming a robot, when you can see your work brought to life, that's where light bulbs go off," she says. Britain's nonprofit Raspberry Pi Foundation promotes computer study in schools by offering lesson plans and other resources to educators, and the foundation's Clive Beale says the advantage of this approach is to give students hands-on computer programming experience. "Instead of passively using a tablet or a laptop, it's the first time they've made a computer do something," he notes. A key factor in the recent expansion of coding interest is the availability of programming resources online. The percentage of women pursuing undergraduate degrees in computer science has declined from about 30 percent in 1990 to 18 percent in 2010, according the most recent U.S. National Science Foundation data. This trend has resulted in women accounting for just 27 percent of computer science professionals, down from 34 percent in 1990, according to the Census Bureau. Meanwhile, only 11 percent of information security professionals are women. Julie Peeler, foundation director of the International Information Systems Security Certification Consortium, says the mistaken perception that women cannot excel in math, science, or technology is driving girls away from these fields. "When I talk to women in Africa or Asia, this is not an issue at all," Peeler notes. "There is something going on culturally in Western culture that we need to get our finger on and address as a community." The U.S. information security industry currently has 30,000 open positions, and doubling the number of women in the field from 11 to 22 percent would completely close that gap, Peeler notes. Companies with a critical mass of female executives perform better than those without women in leadership positions, according to McKinsey, and the information security field is particularly in need of people with more diverse backgrounds. Although the bulk of content on Facebook is shared only a few times, some can be reshared millions of times, and researchers at Stanford University, Cornell University, and Facebook have demonstrated that various traits of a cascade can be accurately predicted and applied to making successful assessments about cascades' future behavior once they have begun. An analysis of how photos were shared on Facebook over a four-week period following their first upload revealed which people or nodes reshared each photo and at what time, permitting precise reconstruction of the networks through which the reshares transpired. By starting with a photo that has been reshared a certain number of times, and then determining the probability that it will be shared twice as many times, the researchers establish a specific kind of power law the distribution of cascade size follows. Therefore, a random guess will yield the right answer about 50 percent of the time. The researchers use a portion of their data to train a machine-learning algorithm to seek cascade features that inject predictability, such as image type, the original poster's number of followers, the cascade's shape, and the speed at which it occurs. They found that their method achieves a classification accuracy of 0.795, versus random guessing's 0.5. University of Derby student Jitesh Rawal has designed Koe, a role-playing game that teaches users the Japanese language within the context of entertaining game play. Koe, which means "voice" in Japanese, teaches Japanese as players use various items throughout the game. "All items are basically Japanese words that are initially taught using communicative language-teaching techniques, basically 'learning by doing,'" Rawal says. Japanese culture is at the heart of the game, which begins in a Japanese airport, but quickly moves into a fantasy world of two-headed dragons and purple octopuses. The Japanese words from various sources that gamers receive are to be used as moves in battle. Language acquisition is the subject of Rawal's dissertation, and he built language-learning techniques into Koe. "I always had the idea of a game that teaches language, but it had been largely done before," Rawal says. "However, instead of being quite boring and simply about learning language, I wanted to focus on game play." Carnegie Mellon University (CMU) researchers have developed Victor, a social robot that was designed to help scientists better understand what it takes to get people to enjoy interacting with a robot. "We believe that for autonomous robots to be accepted, they will have to conform to the social conventions of people, rather than the other way around," says CMU professor Reid Simmons. Victor features a torso topped with a mobile head on which a video screen displays his animated face. Victor currently resides in the CMU student lounge and challenges people to games of Scrabble. The researchers are studying whether changes in mood or emotions affect the desire to interact with robots and how personalization might affect the willingness to interact over time. The researchers say they gave Victor a personality designed to encourage human players to interact with it. Simmons says the robot's personality is "edgy enough to be engaging, but not so much that people don’t want to play." He notes they made sure that Victor is not a strategic player, avoiding double- and triple-word scores and only using an 8,600-word vocabulary, instead of the entire Scrabble dictionary, which contains 178,000 words. University of Texas (UT) at Arlington professors Radha Mahapatra and Sridhar Nerur have found the success of having software programmers work in pairs greatly depends on the ability level of the individual programmers, and using design patterns can greatly improve the quality of software programs and the productivity of programmers. "This research draws from insights and techniques in organizational behavior and applies them to programming," says UT Arlington dean Rachel Croson. "Their results suggest how firms could greatly speed up software programming without sacrificing quality." The research found design patterns help software developers create superior quality software in less time. "Software design is a very labor and knowledge intensive endeavor. About two out of three new software projects are deemed unsuccessful, according to an industry report," Nerur says. "What we've demonstrated through a controlled experiment is that relying on design patterns can help programmers be more successful." However, Nerur and Mahapatra say their research into paired development produced mixed results. "We concluded that programmers working in pairs helps the software design process many times," Mahapatra says. "However, for the very top echelon of programmers, working alone yields the best results." Binghamton University professor Timothy Normand Miller will launch an introspective computing project that focuses on reducing the energy use of computing systems, from smartphones to data centers. Semiconductor chips produced in the same factory do not perform identically, which means systems are designed to accommodate the worst chips. Miller wants to use machine learning to predict a chip's performance, for a project that will be funded by the U.S. National Science Foundation's Faculty Early Career Development program. "When you bring a chip online for the first time, it will monitor itself and dynamically adjust its own behavior," Miller says. "The chip will make sure it does the right thing on its own." The approach would improve energy efficiency, as well as the lifespan of the chip. He says energy efficiency is key to extending the operation time of battery-powered devices and is a significant factor in the cost of running larger systems. Moreover, working at the chip level offers more sophisticated control and a means for scaling the solution up for systems of different sizes. Researchers at the University of Southern California's (USC) Game Innovation Lab are developing research-based games for education and social awareness. Referred to as "serious games" or "games for change," the games are designed to educate as well as entertain players. One of the best-known games to come out of the lab is "Darfur Is Dying," a narrative-based simulation that puts players into the shoes of a refugee in a camp in the Sudan so they can better understand the crisis in the region, says Game Innovation Lab director Tracy Fullerton. Some of the lab's games are designed specifically for classrooms, to teach, for example, 12th grade constitutional history. USC launched the lab in 2004, and its mission is "to pursue experimental design of games in cultural realms including art, science, politics, and learning," according to the lab's website. Research is a key component of the game development process, which involves establishing goals, determining how to best meet them, and then assessing outcomes to ensure the games achieve those goals.